The 5th Jinshangling Apricot Flower Festival kicked off at Luanping county, Chengde city in North China's Hebei province on April 3, 2017. 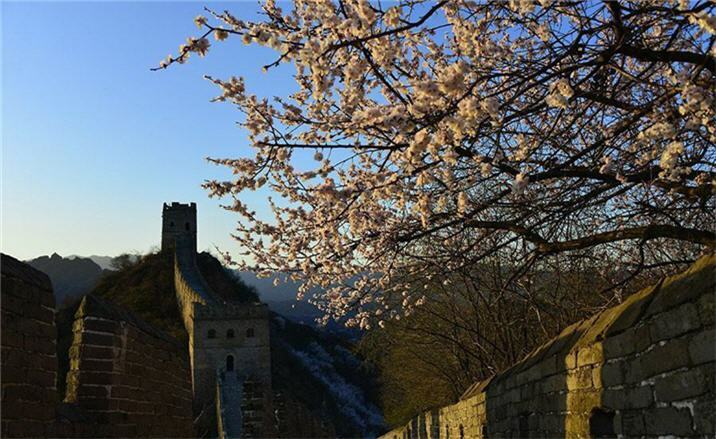 The opening ceremony was held at the foot of the Jinshanling Great Wall, an original and essential section of the Great Wall. To welcome flocking tourists from China and abroad, the opening ceremony consisted of a qipao fashion show, apricot flower appreciation and a Lunhua night show. The 2017 Apricot Flower Festival will last about four weeks and will include several events. For example, 1,000 Tai Chi lovers will do Tai Chi on the Great Wall, 1,000 soon-to-be spouses will have a special wedding in accordance with Man ethnic group's customs and an international marathon competition will be held.